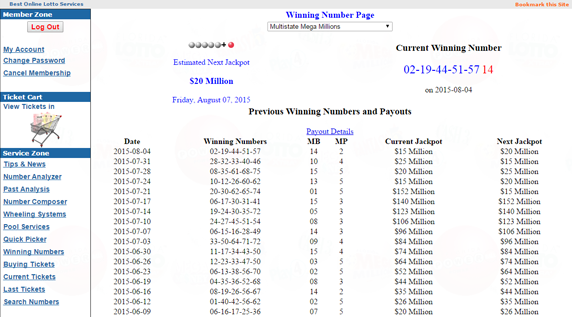 To search Mega Millions results, just log in. Then, click Winning Numbers on the left, and select Multistate Mega Millions. The results of the game numbers and payouts will be listed.